In the first of a series of articles on the impact of the digital revolution, Neil Leyden outlines the stepping stones from vinyl to Spotify and muses on what the future holds for the embattled recorded music industry. "The absolute transformation of everything that we ever thought about music will take place within ten years, and nothing is going to be able to stop it. I see absolutely no point in pretending that it's not going to happen. I'm fully confident that copyright, for instance, will no longer exist in ten years, and authorship and intellectual property is in for such a bashing. Music itself is going to become like running water or electricity…"
The first Compact Disc (CD) came off the presses at the Polydor Pressing Operations plant in 1981. It was a recording of Richard Strauss's Eine Alpensinfonie, played by the Berlin Philharmonic orchestra and conducted by Herbet von Karajan. Billy Joel's 52nd Street album had the glory of becoming the first commercially released CD album, made available on October 1 1982 alongside Sony's CD player CDP-101 in Japan. And so, began the digital audio revolution. By 1988, 400 million CDs were manufactured by 50 pressing plants around the world. It was perhaps the fact that the CD was initially seen as the natural successor to the gramophone record that may explain why the record labels did not immediately see the implications of it being actually a data storage device. It looked like a mini-record. It also looked more expensive (even though it was cheaper to press) and could be sold at a premium, with much hype about digital sound fidelity – which was also questionable. But CDs were much more preferable in quality to audiotapes, and vinyl records were too easily scratched. The CD was a massive consumer hit. The CD was a massive consumer hit. Meanwhile, in 1985, Sony and Philips expanded the functionality of the CD through their Yellow Book specification and created the CD-ROM (Compact Disc – Read Only Memory) as a format that could hold any form of binary data, such as software code. The introduction of re-writable CDs (CD-RW) in 1997 meant that the 3½ floppy disk was quickly superseded as the data storage format of choice for personal computers. Suddenly, large amounts of data could be transferred and CDs could be replicated easily by consumers on cheap re-writable CDs. Whereas piracy had been a few 'bootleggers' making recordings on audiotape and selling them in street markets – it suddenly became something that your grandmother could do. Piracy had always been a part of the industry from the early days of vinyl. It was taken for granted and sometimes even encouraged as a marketing tool. But this was different; very different. Whereas piracy had been a few 'bootleggers' making recordings on audiotape and selling them in street markets – it suddenly became something that your grandmother could do. 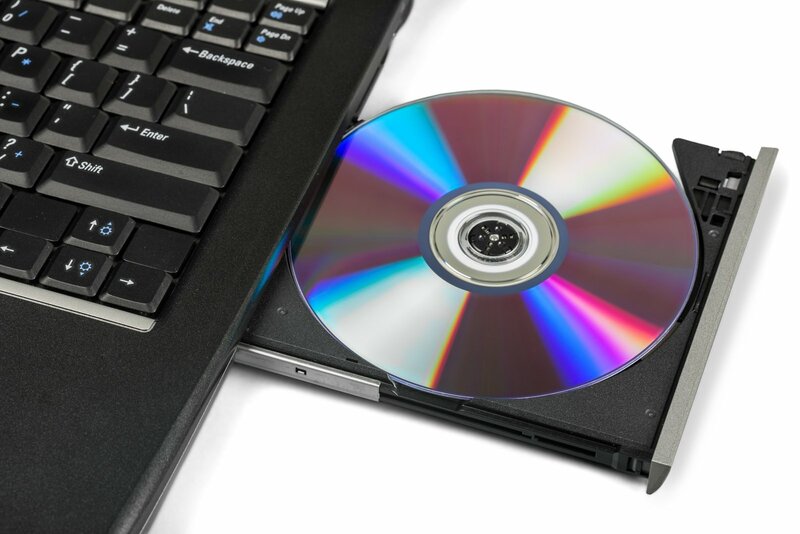 In tandem with this technology, there was a more profound innovation evolving that when married with the CD, would disrupt the music industry in an unprecedented fashion. The World Wide Web was conceived on November 12th 1990 by Tim Berners-Lee and Robert Cailliau as a 'hypertext project' encompassing a web of hypertext documents viewed by browsers using a client-server architecture. Their vision of the World Wide Web, utilizing the newly established Internet protocol, was "to be a pool of human knowledge, which would allow collaborators in remote sites to share their ideas and all aspects of a common project." This invention laid the field for the eventual linking of disparate personal computers globally through telecommunications networks. And those computers now contained CD writers. It was Shawn Fanning, a student of Northeastern University in Boston who finally closed the circle between the CD as a transferable data storage device and the internet as a distribution platform, when he developed an online file-sharing application called Napster. Launched in June 1999, the effect of this application – and its variants such as Bit Torrent and Pirate Bay – came to have an enormous and unforeseen impact on the profits of the large music rights holders, as well as software rights holders. It has also raised a debate on the nature of copyright itself for a 'connected' generation. When King Diarmait lay down his famous dictat in the 6th century – that "to every cow its calf" – he could never have foreseen the infinite method by which content could be replicated in the digital age. By 2009, according to the Irish Recorded Music Association (IRMA), there were now 20 illegal music downloads for every legal track sold worldwide – a far more dramatic ratio than in the physical world, where one in three CDs was estimated to be illegal. CD-ROMs could hold any form of binary data, such as software code. The music industry's immediate response was litigation - both against individual file-sharers and then against Internet Service Providers (ISPs). In France, for example, the Société des auteurs, compositeurs et éditeurs de musique (SACEM) published a petition from '10,000 artists' in support of the so-called HADOPI Law - a government bill that sought to create, in typically French fashion, the 'Haute Autorité pour la Diffusion des Œuvres et la Protection des Droits sur Internet' (High Authority of Diffusion of the Art Works and Protection of the (Copy) Rights on Internet). This government agency would have the power to enforce policing of the internet user, requiring an ISP to suspend an internet user's web connection after a so-called '3 strikes' procedure. Despite strong backing from then present Nicolas Sarkozy, the bill was rejected by the French National Assembly on April 9, 2009. However, record companies have been successful to varying degrees around the world in ensuring that ISPs have to legally block certain illegal sides. So it seems that Mr Bowie's predictions have been quite prescient. The music industry seems to have finally embraced the inevitable, and endeavoured to make their catalogues available globally on numerous digital platforms. This has curtailed the tide of piracy somewhat, but revenues have plummeted – and not entirely due to piracy. The digital transformation has had a profound impact on how Music is consumed. The concept of the music album grew out of the 'cult of celebrity' that developed from the mid-1950s as the so-called 'teeny-bopper' generation took to rock n' roll. By the 1960s, it was a staple of the music industry's revenue. Artists would be popularised through the music charts with breakthrough singles, and then the fans would buy the album – a collection of music tracks, not all of which were released as singles. In fact, the quality of some of the songs was often negligible, but it would be the popularity of the artist that would ensure sales. The fan could suffer one or two dud tracks to savour the ones they liked. 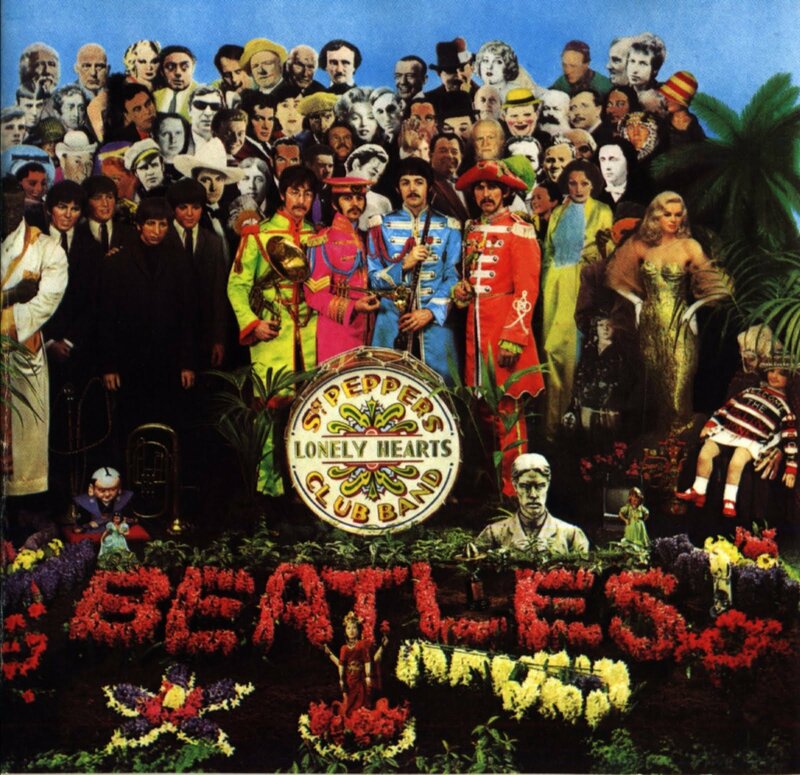 Soon enough, albums became works of art in themselves, with the likes of The Beatles and Pink Floyd releasing concept albums like Sergeant Pepper's Lonely Hearts Club Band and The Wall. The physicality of vinyl added to the mystique, with music collectors adoringly cataloguing their albums and the album cover itself becoming an integral part of the brand and image of the music artist. Digital, however, disrupted that by making each individual track separately downloadable. This was further compounded by Steve Jobs' and Apple iTunes' decision, via its revolutionary iTunes Store, to sell each track individually. Again, the record labels with the short-term goal of stemming the tide of illegal downloads quickly agreed to Jobs' solution, without foreseeing the long term consequence – the disaggregation of the music album. Now consumers could pick and choose what singles they wanted, rather then buying a whole album. Thus, quality tracks were purchased and less popular ones ignored. Some artists, in trying to protect the sanctity of the album format, refused to license their music to the new platforms. But the consumer had spoken, and individual music tracks were what they wanted. What they did not want was labels or artists forcing them into buying an album. This has led to the growth of new music services like Spotify, Deezer and Apple Music, which have more in common with the radio format then anything else. These services stream music to the consumer based on their music tastes and preferences. They can choose and play any tracks they like from the catalogue on demand, create playlists or automate playlists based on 'similar' music. In essence, the user can create their own music station catering to their own specific tastes. They can listen for free – interrupted by adverts (much like traditional radio) or they can subscribe to an ad-free version on a monthly or annual basis. In many ways, it is these types of services that epitomize David Bowie's concept of "music becoming like water". So it would seem that the consumption of music has finally reached a business model – but not one that musicians are particularly satisfied with. For the labels, nurturing up-and-coming acts is now a ruthless business (not that it wasn't before). More pressure is on artists to become breakthrough acts immediately, or else they are dropped. For the artists, digital technology has put the means of production firmly in their hands, but distribution still requires the might of a global marketing powerhouse. The promise of the internet as a platform to 'go global' is tempered by the challenge of finding music from the noise for the eager consumer. The labels still have the relationships with the retail outlets, radio stations and mainstream media to make or break an act. Bona fide internet sensations like Psy or the Arctic Monkeys are the exception, not the rule. "Rock stardom will die because nobody will make enough money anymore to be rock stars. Everybody will be jobbing musicians. It's unbelievable. The music industry has changed beyond all recognition. The music business we signed into does not exist any more." Gallagher, of course, refers to the new challenge for the artist and label as they witness the transition from 'analogue dollars to digital dimes". What this means is that whereas the royalties they received from the purchase of the physical versions of their music – be these albums or singles on vinyl or CD - or even via radio broadcast, has not been replaced by their digital equivalent, even if sales and output are comparable. Artists tend to get the raw end of the deal, now more than ever, as these new streaming services offer pitiful royalties per stream, compared to the equivalent radio stations. Likewise, the major music studios are cannily shareholders in the major new platforms. The answer potentially lies in the likes of Spotify, now cash-rich from its recent Initial Public Offering, emulating Netflix and becoming a funder of original music rather than just an aggregator of music. This might be something they could do in partnership with the studios and labels, just as Netflix are doing with the television and film studios globally. 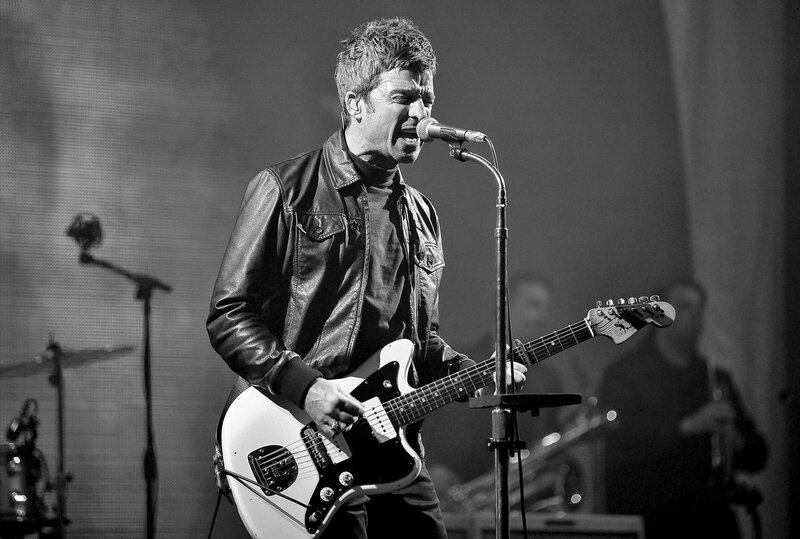 But until then, as Noel Gallagher and David Bowie both referred to, musicians now will need to turn to playing live or other forms of revenue to supplement their incomes. The music business they signed in to doesn't exist anymore.